I have never had any problems at Tilden! The staff is always very friendly and helpful. I will definitely continue to use their services for vehicle maintenance as long I live in the area. Usually get same day service, always reliable, stand behind their work, competitive prices. I have been using Tilden for many years for all of may vechicles. Wouldn't go anywhere else. In the last few years I have had three flat tires and Brad has never failed to send someone out and take care of the problem. There is no one else I would even consider giving my business to. Nice folks, quick service and very reasonable price for an oil change. Been using this location for several years and will continue to go back. Everyone is always very nice plenty of things to do while they service my vehicle and they are kid friendly. I love going to Tilden! Great service. Friendly staff and great coffee. Excellent Service and Attention to their work with fair price! Continued great service. We go out of our way (60 miles) because Tilden continues to go out of their way with excellent customer service. Service was completed in record time. Cost was lower that expected. Will continue to get my oil changed at this location. Great Experience and friendly employees. Excellent place to do business with! I'm a retired car dealer and I highly recommend Tildens. I got in and out real quick. Another great experience.!. Your price is ideal and I enjoy being able to browse the internet while I wait. The staff has ALWAYS been pleasant every time I have been in for service. Thank you! Tilden car service was great in assembling a boat trailer for us considering it was not an actual auto and they had to use the instructions provided. I recommended you to a friend just last week. 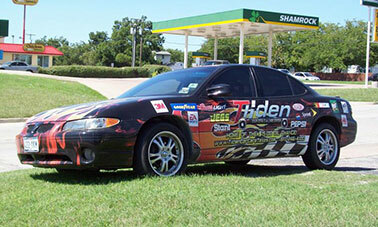 I have never been given bad advice about my car from Tilden's. I won't go anywhere else. Thank you so much for your good service and honesty.